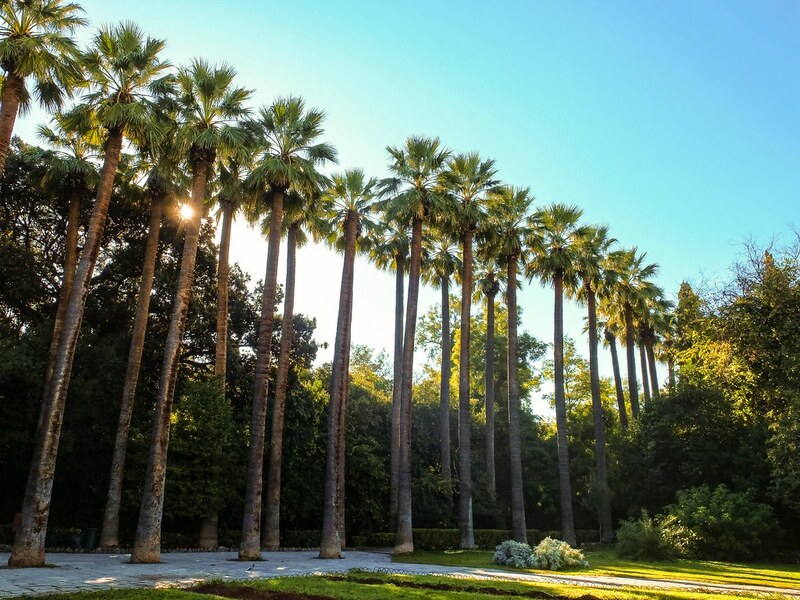 If there is one thing that becomes a constant travel habit for me, it will be waking up early. 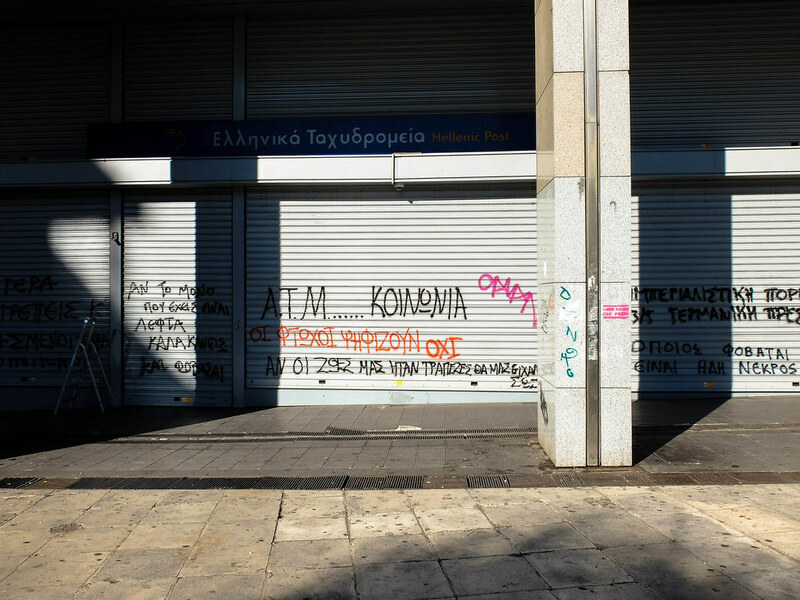 I find it calming exploring a new city just when the sun is about to come up and when everyone is still asleep. 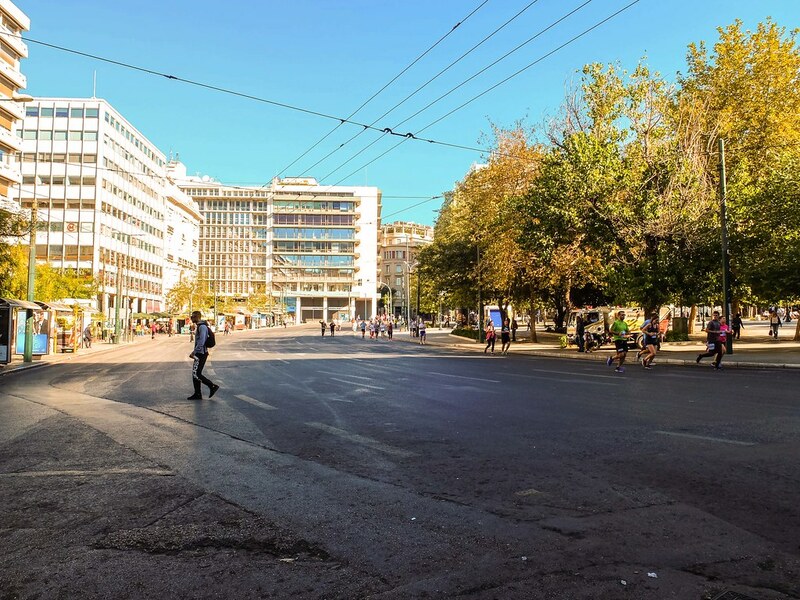 On those few quiet hours when the roads are more or less empty, I basked in the feeling of being a solitary figure quietly navigating the streets, figuring the way ahead and just simply, waiting for the city to open up to me. 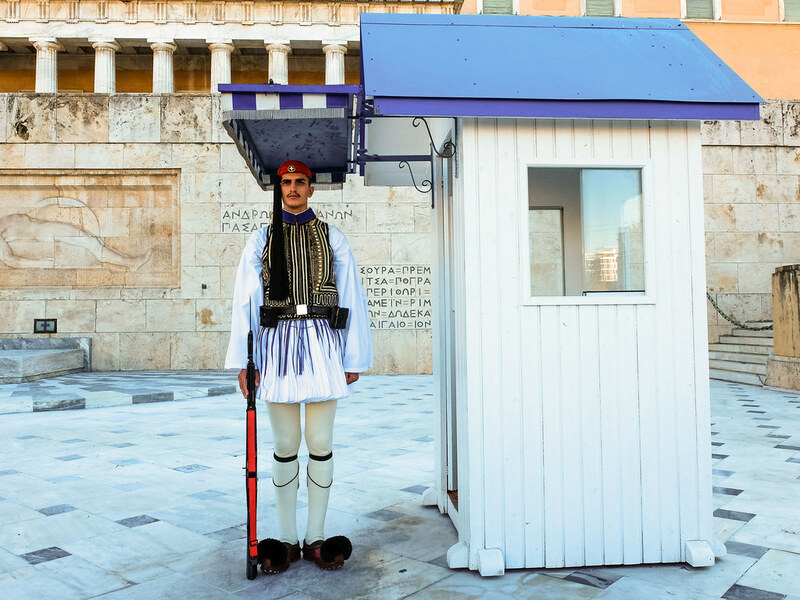 On a beautiful city like Athens, waking up early in the morning means being able to grab the wonderful opportunity to stand against the towering pillars of ancient relics and to have a few moments to imagine what it is like when the city is ruled by Gods and Goddess, before it gets crowded and busy. 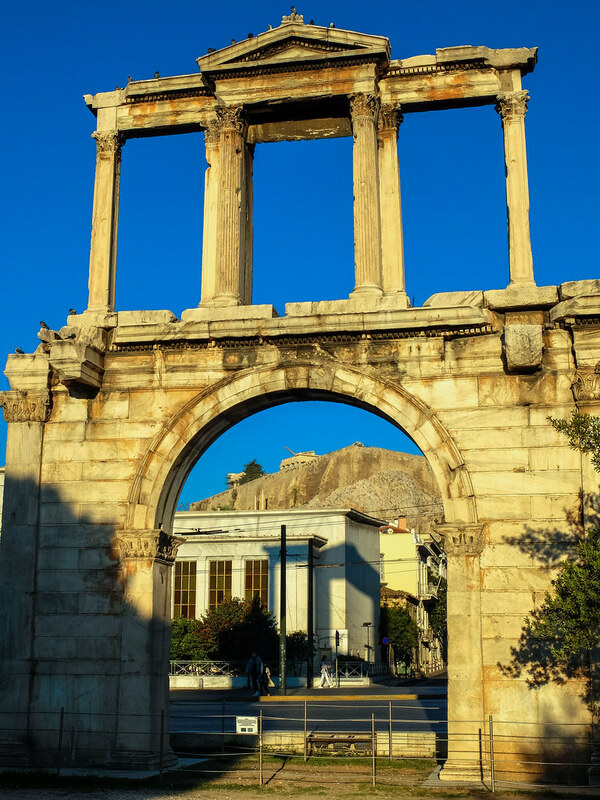 I was undecided if I wanted to visit the Acropolis in the morning, but my wandering across leads me to the Arch of Hadrian and its image glowing from the sunlight makes my decision to reserve seeing the Parthenon in the afternoon an easy one. 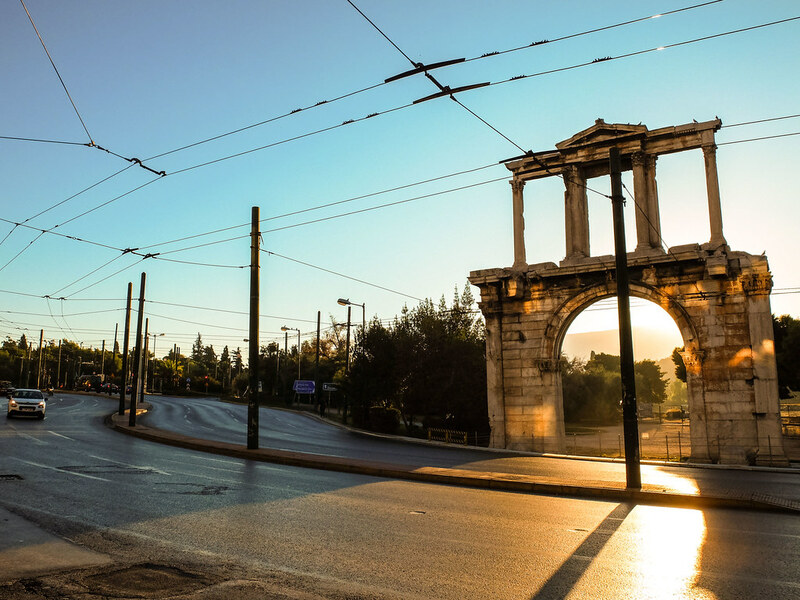 The Hadrian’s Gate is indeed a gateway to see more about the eastern side of the city, when located exactly behind it is another magnificent monument, The Temple of Olympian Zeus. 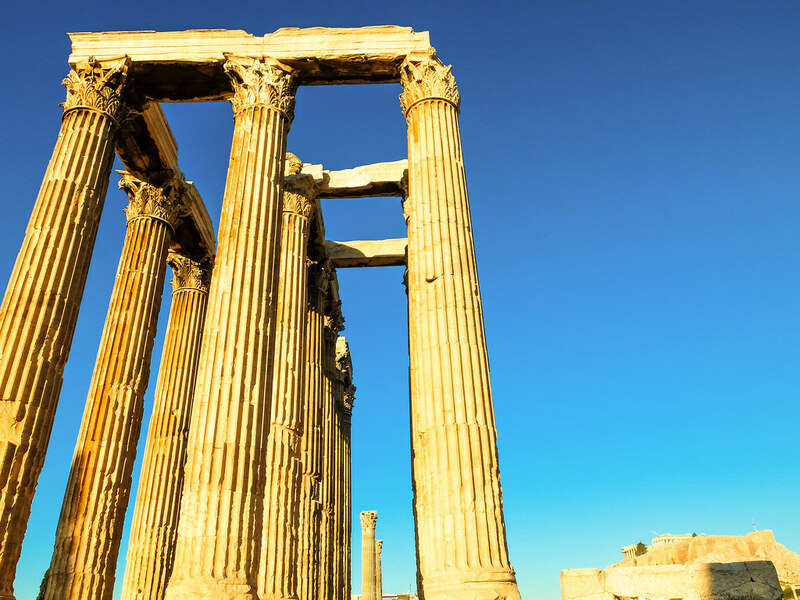 A temple dedicated to Zeus, the King of Gods of Ancient Greek Religion, the standing surviving columns of what once a colossal temple is a beautiful site. 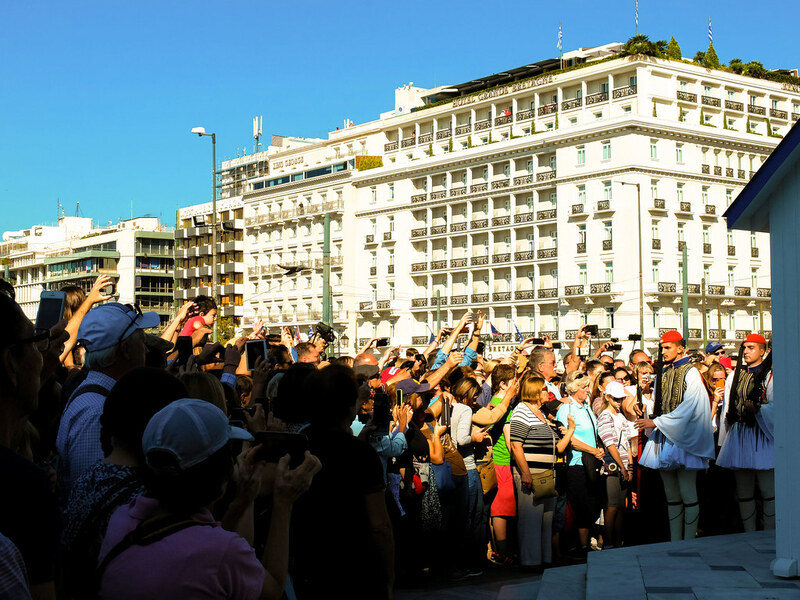 It is an amazing monument and I enjoyed circling around the monument, while imagining how can a structure first constructed in 6th century B.C. 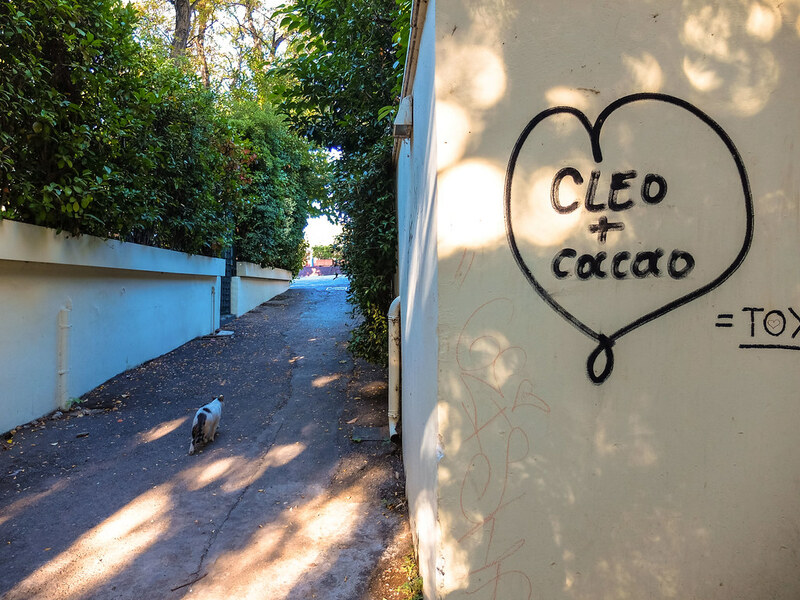 still stands today. 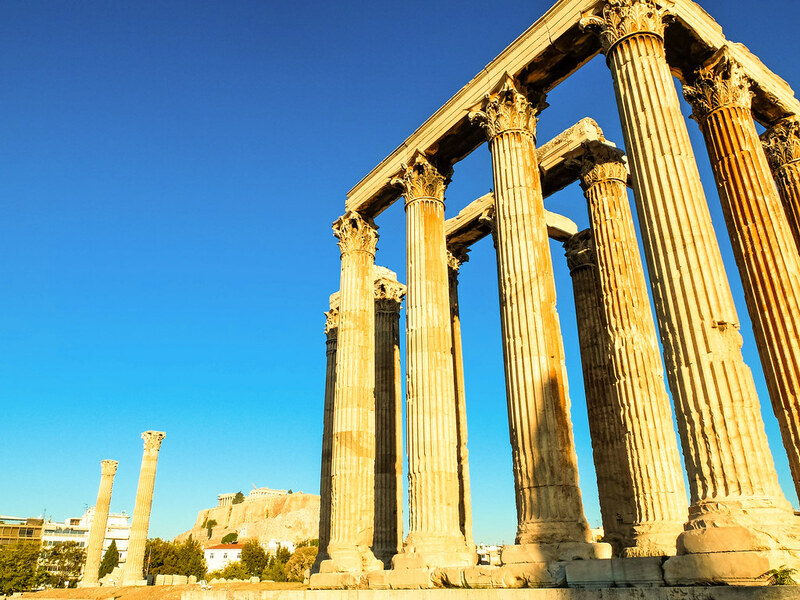 While, the combined view of the Temple of Olympian Zeus and the Acropolis from afar is the quintessential Ancient Athens view. 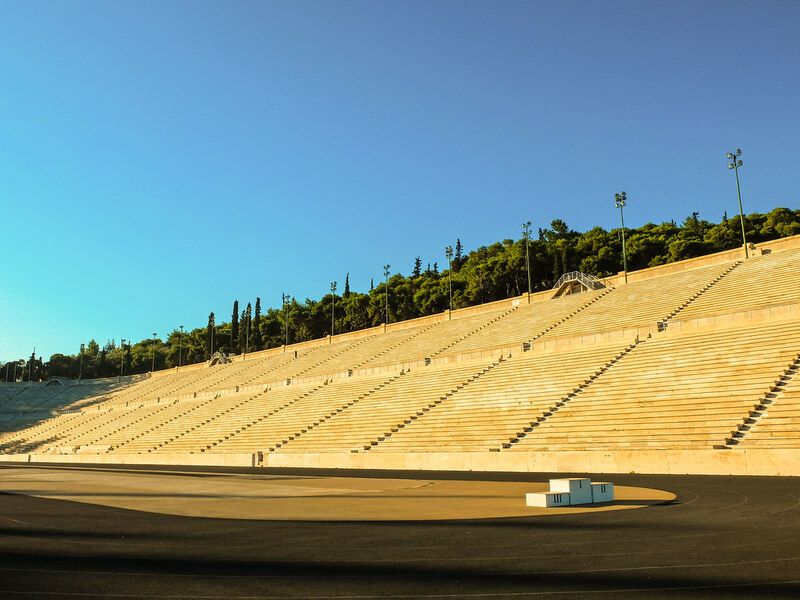 A few blocks away is another site worth seeing particularly for those who enjoy the Olympics and sports. 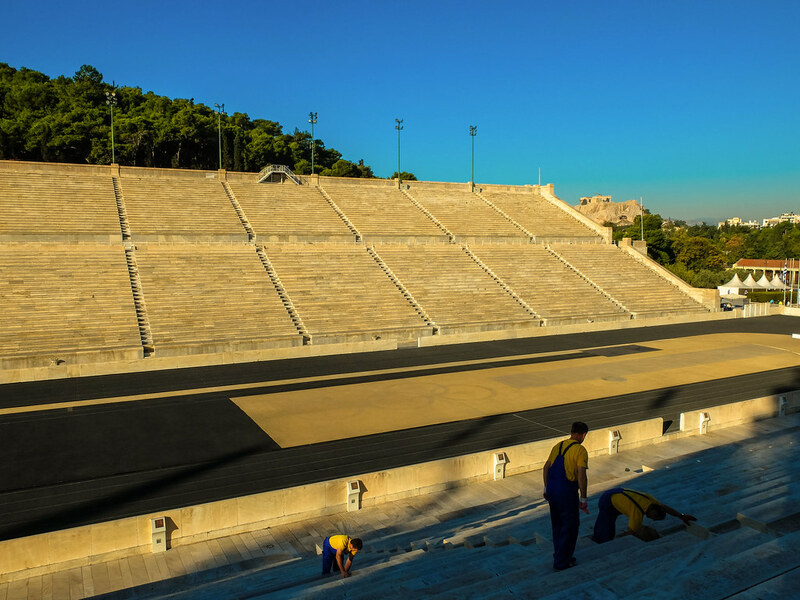 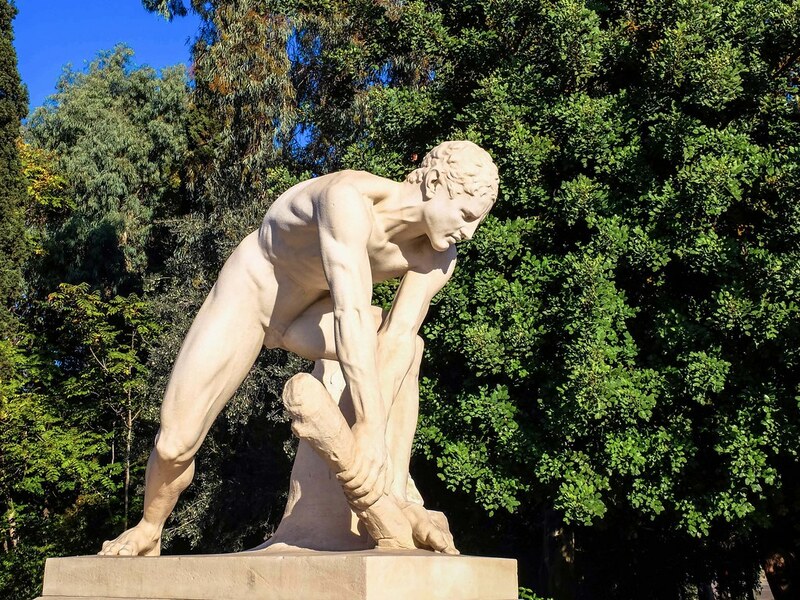 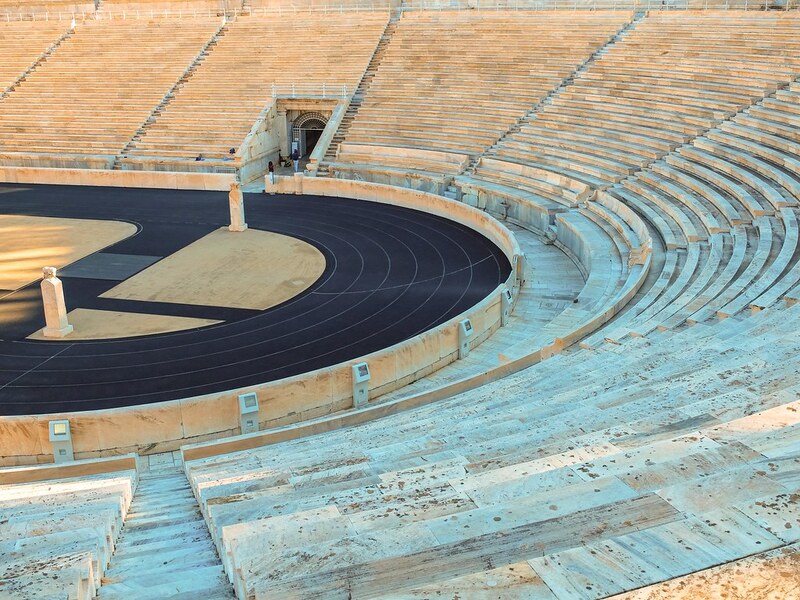 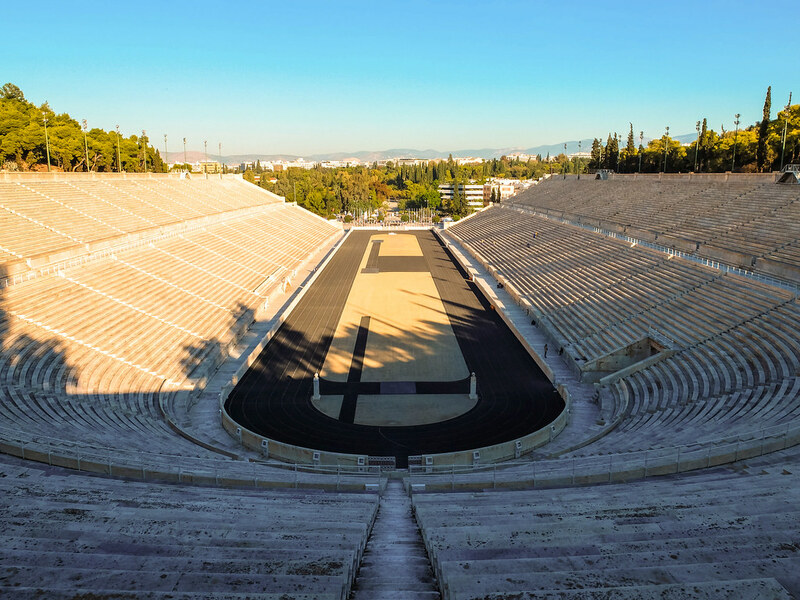 The only stadium built entirely in marble, the venue of the first modern Olympics in 1896 and the finish line for the highly popular Athens Marathon, the Panathenaic Stadium is a fun place to visit. 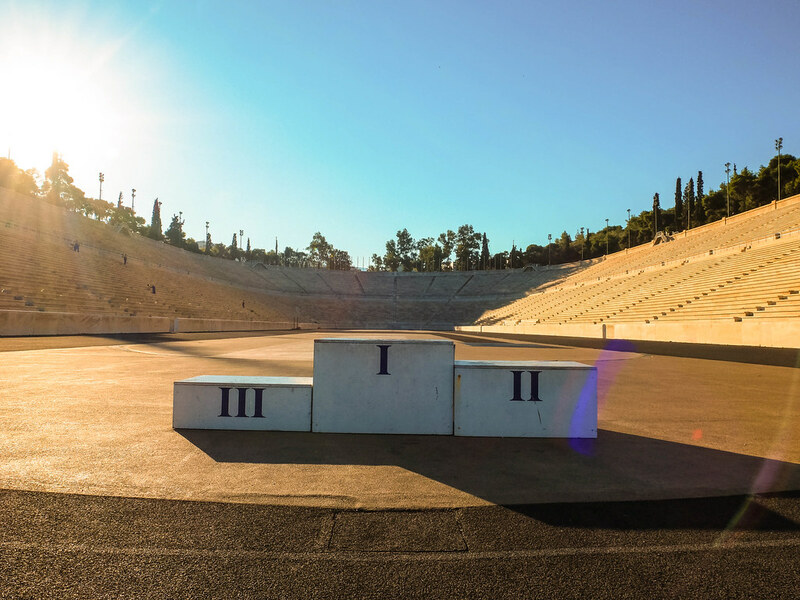 I am currently obsessed with running and hoping one day to complete a marathon, so a visit to the Panathenaic Stadium serves a great deal of personal inspiration, standing on the medal platform, closing my eyes and imagining that one day I will be able to complete running 42km like the many greats who stood on the same platform. 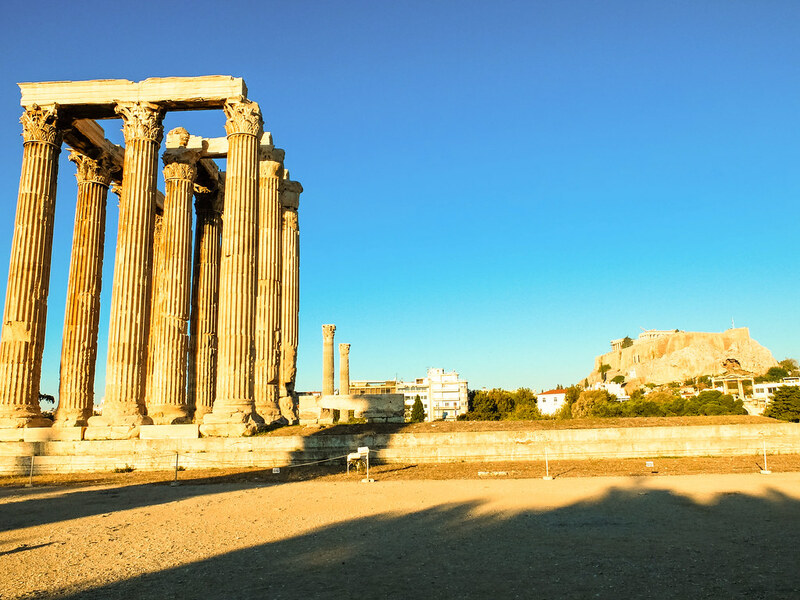 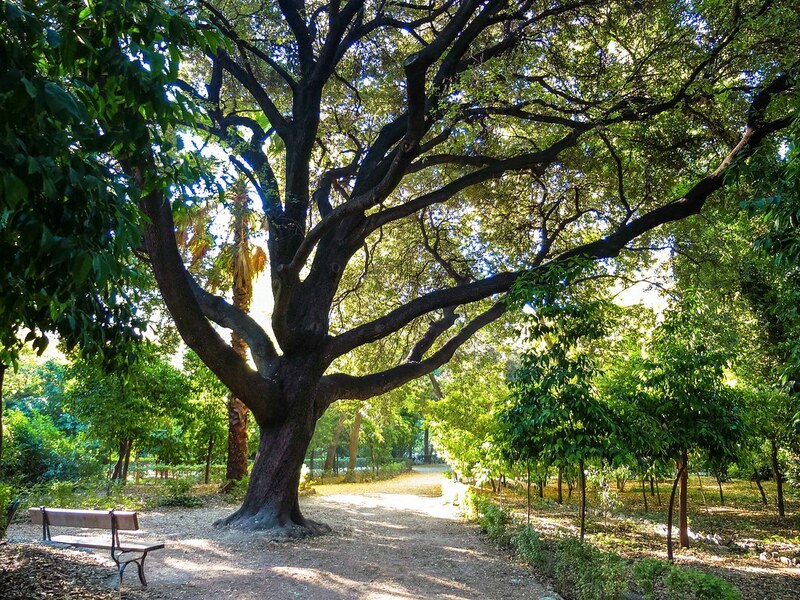 The obvious benefit of starting the day early is having ample time to see as many places as possible, so with few hours to spare and to relax as well, I entered the National Garden of Athens, the park located right across the Temple of Olympian Zeus and with entrance from the Panathenaic Stadium. 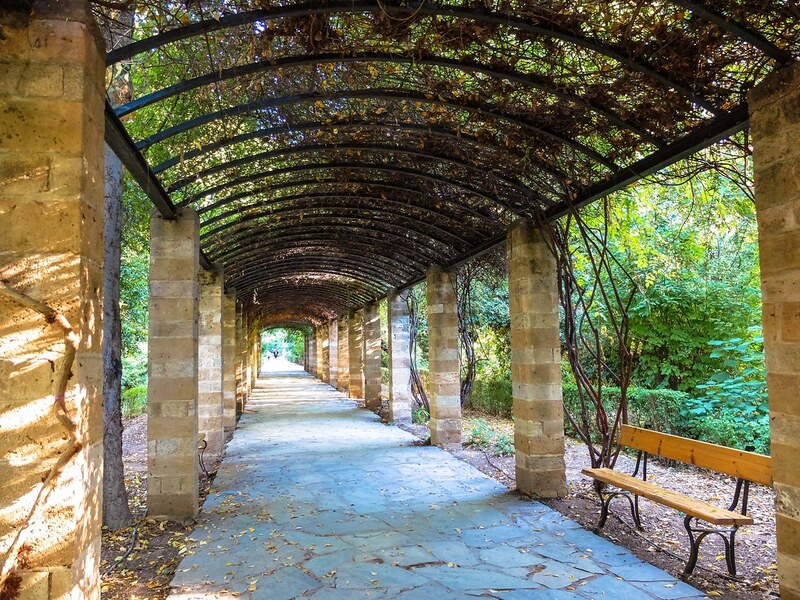 The National Garden is a relaxing green space right in the city center, populated with locals walking their dogs and joggers. 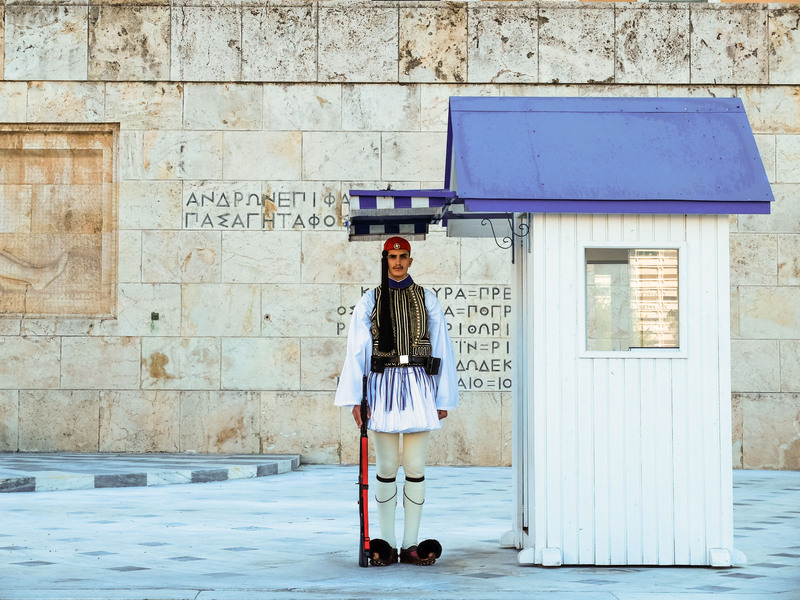 It is a convenient passageway too, as one of the exits leads to the famous Syntagma Square. 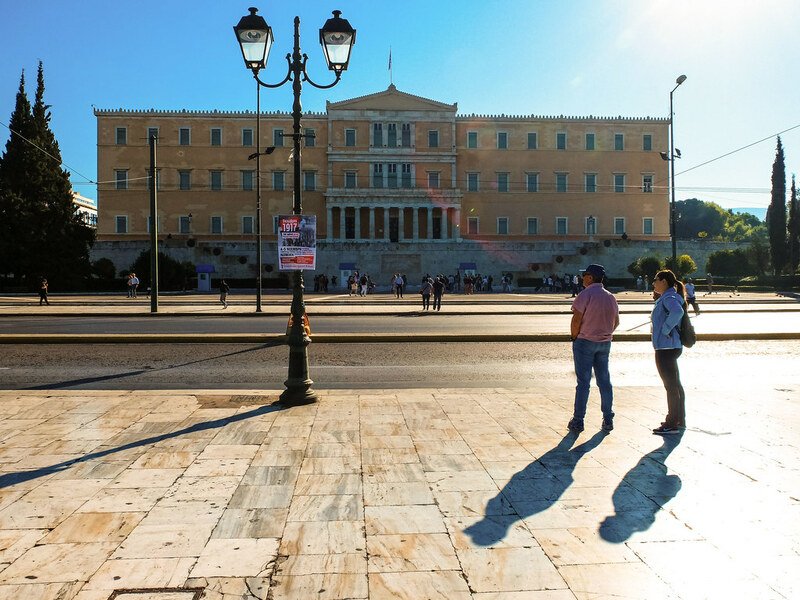 Syntagma Square or the “Constitution” Square is perhaps the most popular public space across the whole city. 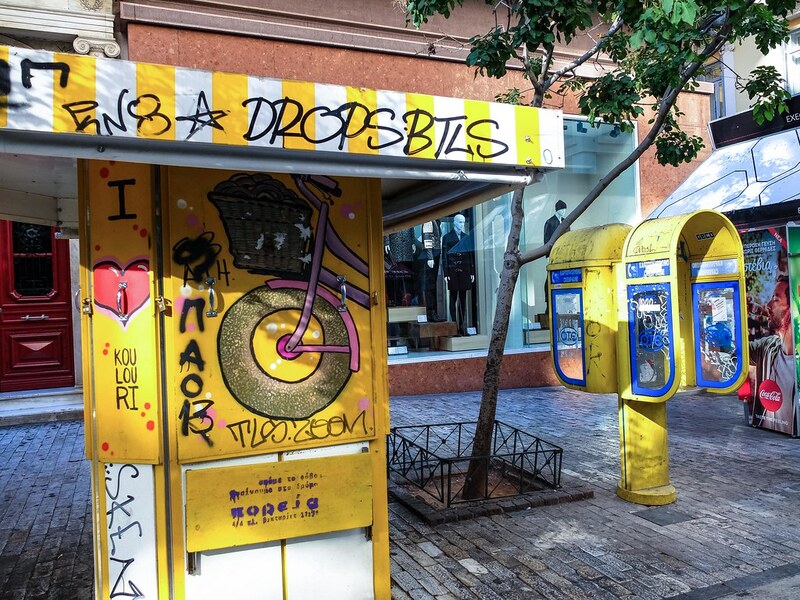 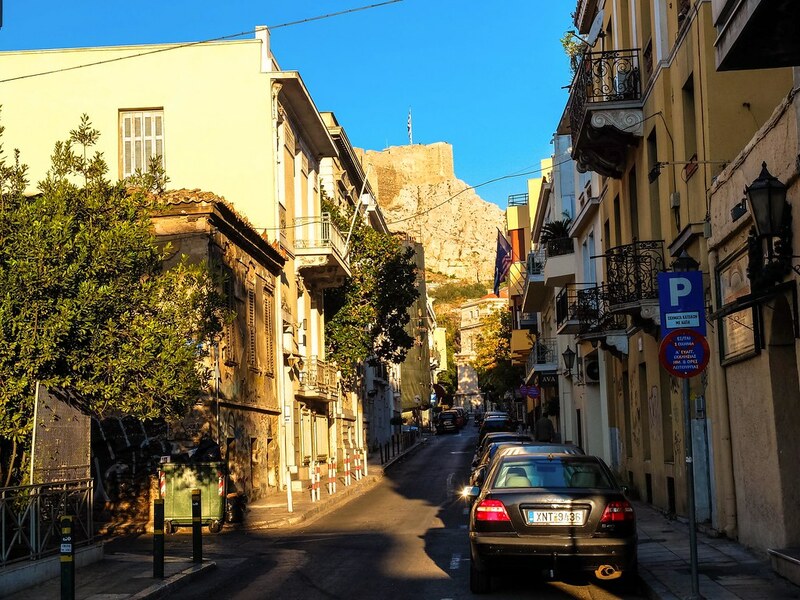 It is a public transportation hub for Athens Metro, trams and buses that travel to and from the Airport , it serves as an entrance to the city’s oldest and famous neighborhood of Plaka and Monastiraki and most importantly, it is the center of Greek politics. 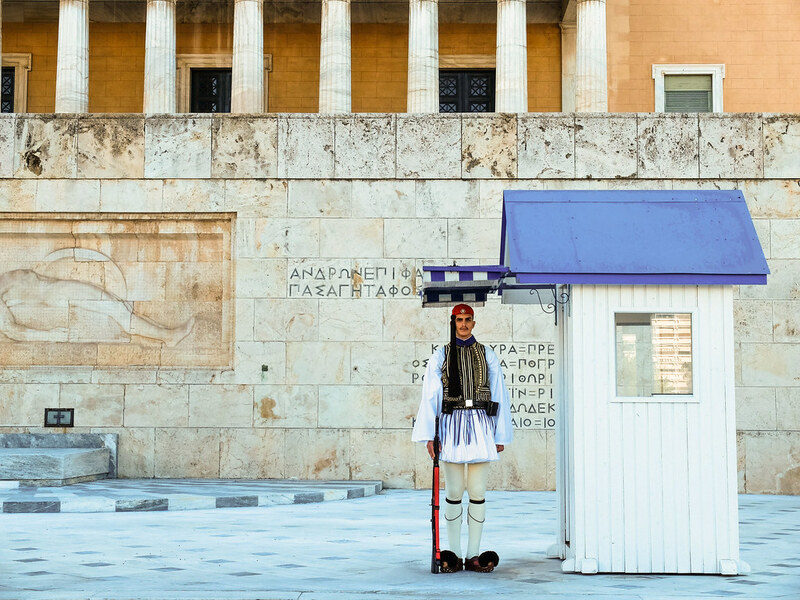 Located in front of the Square is the 19th century Old Royal Palace, which now houses the Greek Parliament. 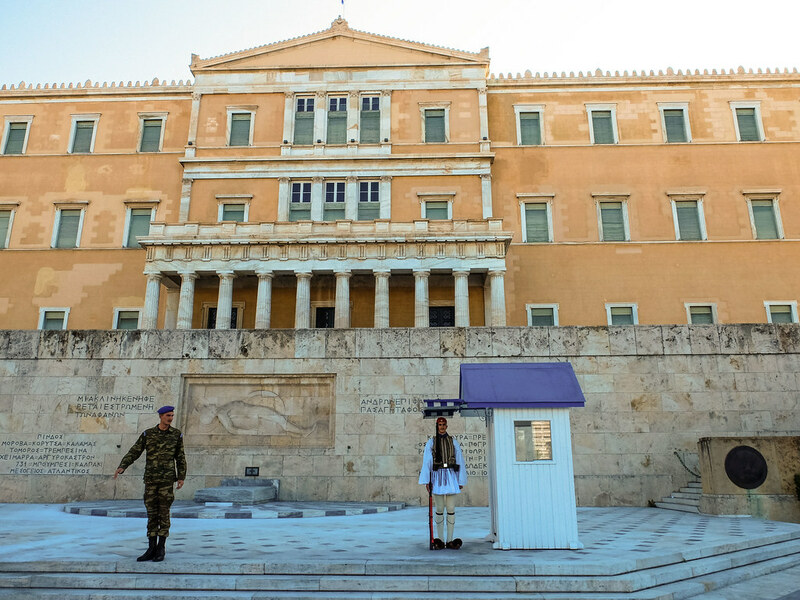 Standing in front of the parliament are guards called “Tsoliades”, guarding the Monument of the Unknown Soldier. 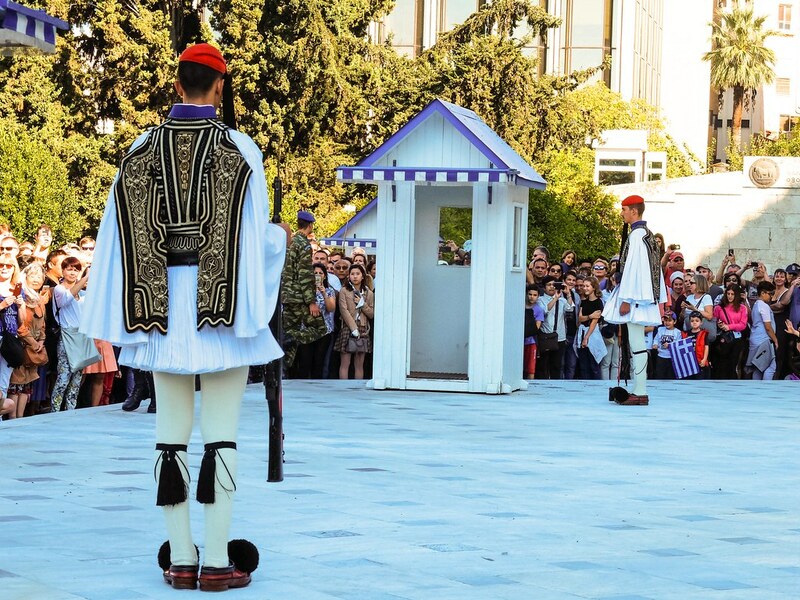 This actually what makes Syntagma Square a popular among tourist particularly every Sunday morning at 11am , to watch the official Changing of the Guard ceremony. 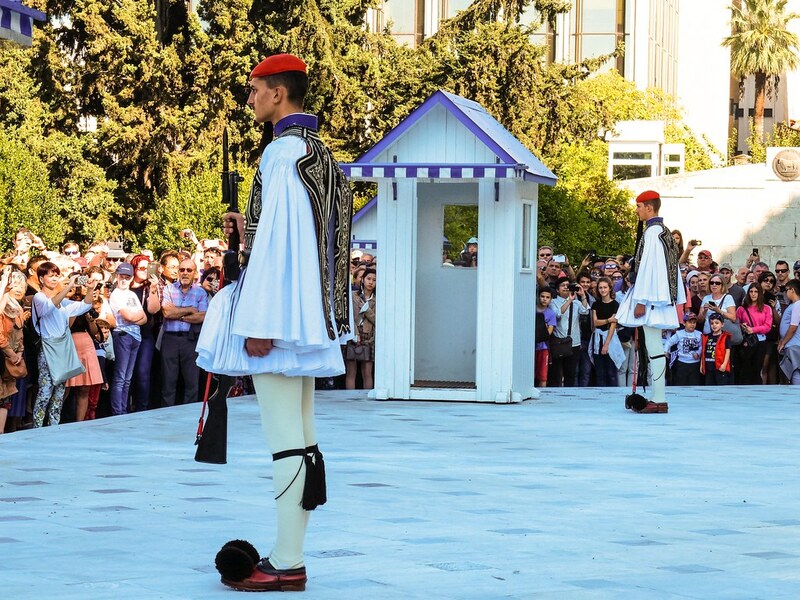 The ceremony is not as grand as the other similar affair on other countries, but seeing the Guards uniquely Greek uniforms is what makes it worth watching. 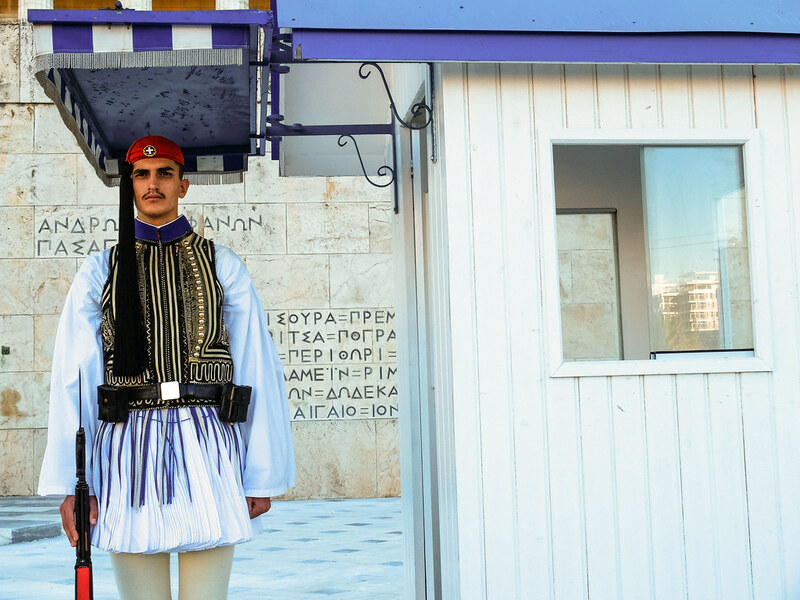 The guards selected from a special military unit called Evzones are physically fit, well-disciplined and most importantly exhibit such great control amidst the chaos and throngs of tourist nudging their way in front for a better photo opt.